There are currently an estimated 1,397,700 accountants in the United States. The accountant job market is expected to grow by 10.0% between 2016 and 2026. CareerExplorer rates accountants with an A- employability rating, meaning this career should provide great employment opportunities for the foreseeable future. Over the next 10 years, it is expected the US will need 145,700 accountants. That number is based on 139,900 additional accountants, and the retirement of 5,800 existing accountants. 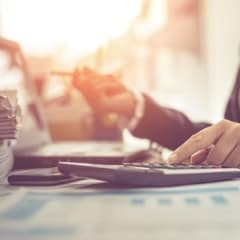 Employment growth of accountants is closely tied to the health of the overall economy: as the economy grows, so, too, does the number of enterprises requiring professionals to manage books, prepare taxes, and provide management advice. Globalization of businesses and economies; international mergers and acquisitions; changing laws and governance regulations borne of financial crises; increased accountability and transparency for protecting stakeholders; and corporate fraud all create a stable demand for skilled accountants. In addition, the movement towards a judgment-based system used to determine the fair market value of assets and liabilities – International Financial Reporting Standards (IFRS) – should increase the demands for the specialized auditing and financial reporting expertise of accountants. Forensic accountants will be needed to detect illegal financial activity. In general, job opportunities for accountants should be favourable, particularly for those who have a professional CPA certification and/or a post-graduate degree in accounting or business administration. Knowledge of accounting and auditing software and information systems; a background in international business; and familiarity with current legislation are also considered invaluable attributes for prospective accountants. Due to the large size of this occupation, the need to replace those retiring from the field will add to the demand for new entrants. Despite increasing demand, however, competition for positions with large and prestigious firms will remain intense. What’s the supply of accountants?